The chemical plant in Houston had a major fire in the wake of Harvey. The owners of the Houston-area chemical plant that suffered explosions and fires due to Hurricane Harvey, releasing potentially noxious fumes into the air, was indicted by a grand jury on Friday. 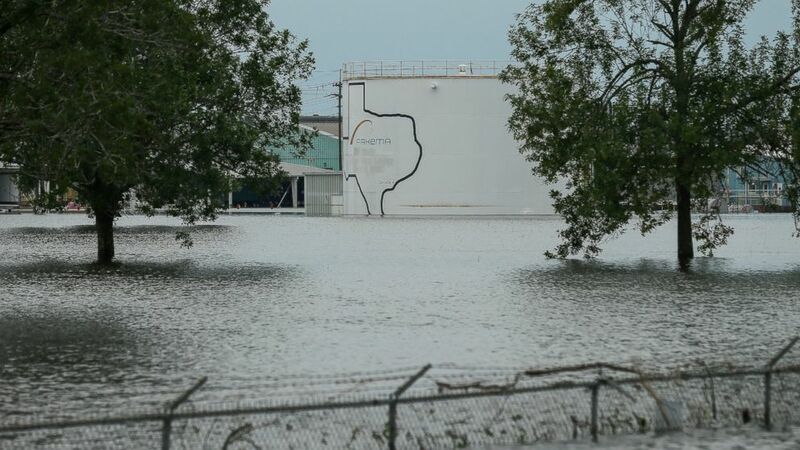 Arkema North America CEO Richard Rowe and plant manager Leslie Comardelle are named in the indictment, which says the company was not prepared for the flooding which caused the fire at the plant in August 2017. "Companies don’t make decisions, people do," Harris County District Attorney Kim Ogg said in a statement. "Responsibility for pursuing profit over the health of innocent people rests with the leadership of Arkema. "Indictments against corporations are rare," she added. "Those who poison our environment will be prosecuted when the evidence justifies it." (AP) In this Aug. 30, 2017 photo, the Arkema chemical plant is flooded from Hurricane Harvey in Crosby, Texas, northeast of Houston. Nearby residents complain of a 'bitter taste' about the sparse information authorities provided when chemicals at the plant caught fire. The Crosby, Texas, plant was flooded during Harvey, which made landfall in southern Texas on Aug. 25, 2017 and slowly moved northeast. Southeast Texas, including Houston, was hammered with multiple feet of rain over a nearly weeklong deluge. The flood sparked multiple fires and explosions, and caused authorities to evacuate about 200 people in the area. Twenty-one people, including rescue personnel, were treated for injuries. The charges brought in Friday's indictment carry a penalty of up to five years in prison for each person and up to a $1 million fine for Arkema, according to the district attorney. Arkema called the charges "astonishing" based on the conclusions from a report by the U.S. Chemical Safety and Hazard Investigation Board in late May. (Adrees Latif/Reuters, FILE) A flooded chemical plant owned by the Arkema Group is pictured after reports of fire at the facility in Crosby, Texas, Aug. 31, 2017. 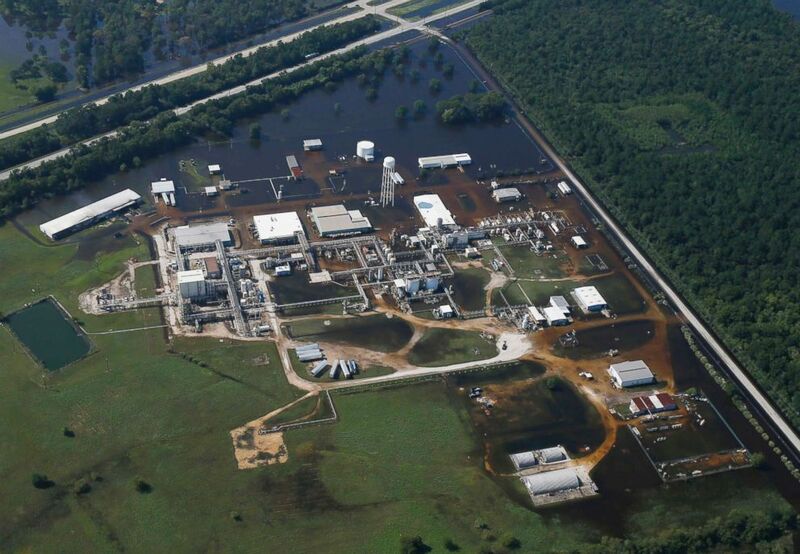 "These criminal charges are astonishing, especially since the U.S. Chemical Safety Board concluded that Arkema behaved responsibly," Arkema spokesperson Janet Smith said in a statement to Houston ABC station KTRK. "At the end of its eight-month investigation, the Chemical Safety Board noted that Hurricane Harvey was the most significant rainfall event in U.S. history, an Act of God that never before has been seen in this country." The Chemical Safety Board panel found there was a lack of planning for how severe weather events like the unprecedented rain during Hurricane Harvey could affect facilities that store chemicals and that even though Arkema had emergency generators and other backup systems "all of these layers of protection failed due to flooding." Smith said in a statement to ABC News in May after the release of the CSB report: "Arkema is pleased that after an eight-month-long investigation, the Chemical Safety Board (CSB) report accurately depicts the unforeseeable nature of the situation Arkema faced during Hurricane Harvey."